The meetings are organised by and for the SMEs and primary contractors involved in or aware of the Attractive SME certification. The objective is to improve the image of SMEs and to highlight their Human Resource skills (skills management, training, reception etc.) for the general public and prime contractors. 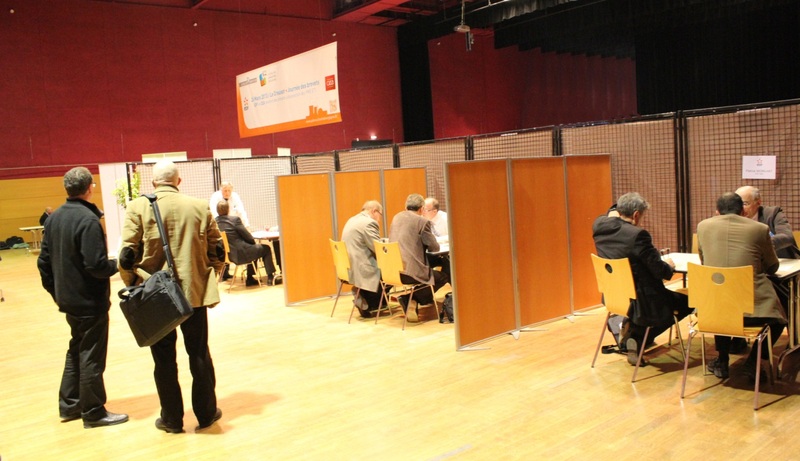 For several months, the PNB and the CEA Direction de l’Energie Nucléaire have been working together to increase the involvement of SMEs in their research programs. This has produced practical results for the ASTRID project, the future demonstration model of the sodium cooled fast neutron reactor (RNR Na). 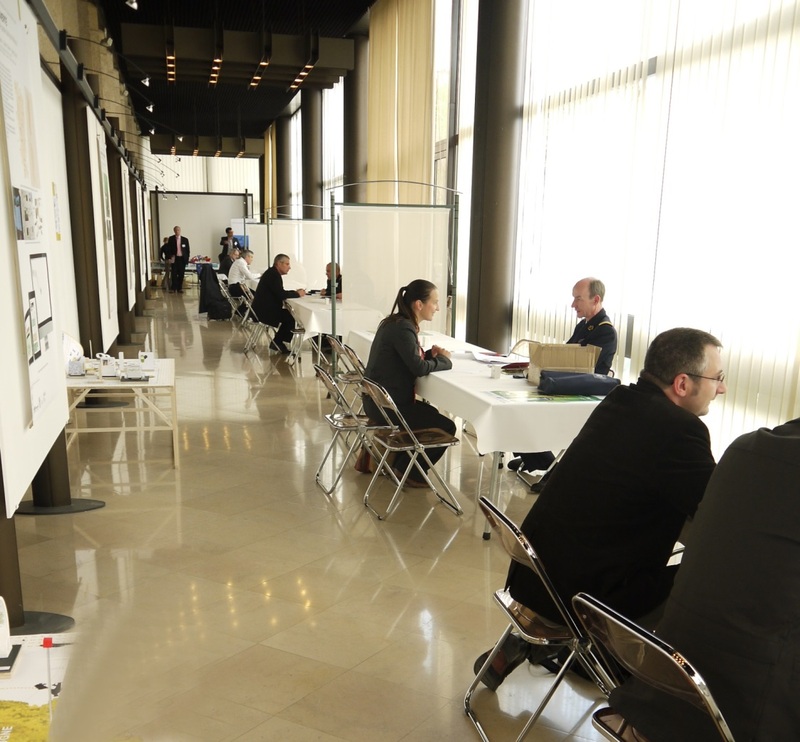 On the 3rd June, in Lyon, twenty or so SMEs, pre-selected for their skills, received an overview of the Astrid project, existing engineering partnerships, and also the contractual basis of the relationship between the CEA and the SMEs for this type of project as it is now possible for them to be part of several programs related to the nuclear island. The guest SMEs showed their interest and steps have been taken to help them join the program. The PNB supports the integration of SMEs in the sector’s R&D and considers this program to be a good way of illustrating its position. This new regional event wished to position itself at the European level of purchasing as shown by the presence of senior French officials, and the procurement Director of the principal NATO support agency which represents most of the European Union countries. The event was organised by IRCE, in partnership with UIMM BOURGOGNE, and the PNB, VITAGORA, AUTOMOBILE BOURGOGNE, GILEP and EDEN clusters. The exhibition concentrated on maintenance and non-weapons combatant equipment because although the acquisition of equipment is important and source of innovation, the support and maintenance contracts provide long-term guaranteed turnover and require just as much engineering input. The event was extremely successful: almost 70 directors and sales managers from SMEs and also major companies from different sectors of activity came from Burgundy, Franche Comté and Rhône Alpes. The morning was devoted to presentations of several Ministry of Defence procurement departments: two maintenance structures from the Army and Air force, the department responsible for feeding and equipping military personnel and the Army department responsible for fuel. As well as departments from the French armed forces, there was also a NATO department present: the agency responsible for providing services and integrated logistics. The afternoon was taken up by the more than 100 meetings arranged by the industrialists with the representatives of the morning’s presentations. The procurement managers were unanimous in recognizing the importance of supporting French SMEs and that the armed forces have a role to play. A particulalrly interesting example was given by the SIMMT (Service Intégré du Maintien en condition opérationnelle des Matériels Terrestres) of a method to avoid being cut off from the SMEs which are prevented from having a direct contract due to the size of the contracts involved: the creation of a work platform between the contracting authority, a prime contractor and its SME suppliers for a specific project. This type of collaborative structure is considered to be profitable for all those involved by 71% of the stakeholders, especially as it resolves the issues of anticipation and visibility for the SMEs, raises awareness of common interest and maintains activity for the SMEs. The EDEN cluster has been able to provide support for this initiative. Defence work provides an opportunity for diversification which is interesting for companies involved in the nuclear sector. The day allowed the PNB members to understand the organization of the procurement departments and to discover their reality and unsuspected needs. The participants were able to leave with the key points allowing them to organise themselves and win contracts (e.g. by becoming a NATO approved supplier), or even combine together in order to better meet national and international needs. Mr Chetaille, Managing Director of Groupe MSB, said: “I learnt how the defence market works. In one day I was able to make a lot of important business contacts that I wouldn’t, otherwise, have been able to do”. The Fluhyd Group already worked for defence contracts, but only as a rank 2 supplier for the integrators. Its Chairman, Patrice Chagnaud, became certain during the symposium that his group had the required size and skills to work directly for defence contracts. He will now be able to monitor invitations for tender for defence contracts in his company, by means of the websites presented by the speakers in the morning. 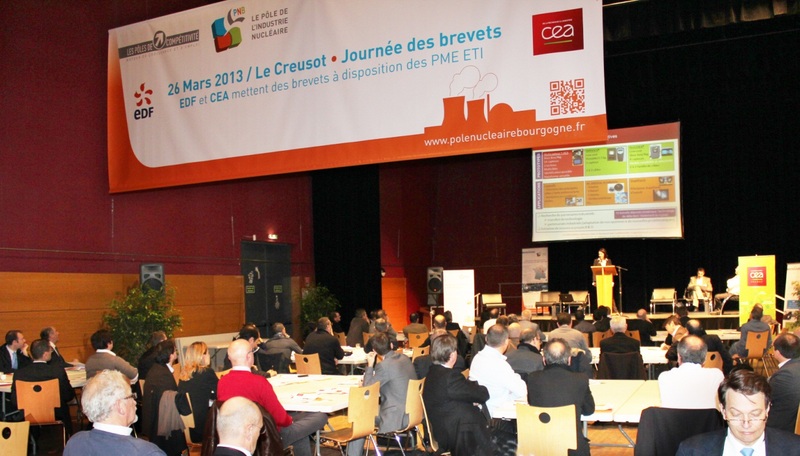 The PNB, in cooperation with EDF and the CEA, organized in Creusot on the 26th March a special day for its members and open to companies interested by the patents. The day brought together almost 80 people interested by this innovative form of partnership between the clients and the SMEs working in the same sector, including around 50 representatives of companies interested in this approach. This was a first in Burgundy: the EDF and CEA R&D departments offered to share already filed promising patents with the PNB members. The patents on offer, resulting mainly from the EDF and CEA R&D work in the nuclear field were chosen for their high level of potential for development, could also find industrial applications in the fields of petrochemicals, aeronautics, wind power, metalworking etc. The organisers chose to present patents easily transferable to industrial activity. During the morning, experts gave more detailed presentations of patents with possible applications in the following areas: the new methods of high-power laser cutting, dimensional inspection, methods for filling the reactor primary circuit with water, connecting devices, the development of chemical sensors for gases, nuclear measurements etc. The afternoon was set aside for individual meetings between the experts and the companies, allowing each side to explain their position, exchange views and validate their common interest and to widen the conversation to related subjects. Indeed, the experts had an additional list of dozens of other patents to meet individual specific requirements. EDF Innovation and the CEA were both available for participants in order to facilitate contact and the major R&D structures, to provide support and explain the procedures leading to the establishment of partnerships which were the day’s objective. Oséo was also available for all those with questions concerning the financing of innovation. The day was generally considered to be a success because it allowed, in a very real way, the two groups to support economic activity at the local and regional level, by giving SMEs the means to develop, with new activities resulting in job creation. The participants appreciated the meetings, finding the experts both available and open to discussion. The initial contacts made by the companies during the day will be followed up and support provided in the future. The day’s success puts the onus on the PNB to consider and set up an even more ambitious event based on the exchange of patents between major structures and SMEs. A first example is that of the SME Cintrax, located in Joigny, which during the day presented a patent concerning the recombination of hydrogen, which would be of interest to much larger structures than itself. There is no lack of ideas and we are sure that this type of meeting is a real source of economic development for PNB companies. Burgundy based SMEs whose activity is entirely, or partly, based on machining can definitely benefit from participation in the group action “Excellence in machining”. The operation led by CETIM et Arts & Métiers Cluny was considered to be a great success by the members of the Arve Industries cluster and can now be organized by the PNB. The objective is to help the company to optimize its productivity and to differentiate itself by its technological advantages. The key idea is to put forward a global approach, covering both the organizational and technical aspects of machining. The selected approach is based on in-depth support (up to 8 days) which is adaptable to the needs of each individual SME. Another strong point is that the operation is based on periods of individual consideration and thought alternating with joint periods based on technological contributions and shared experience.